Your busy schedule is not allowing you to go to the mobile service centre and get your phone repaired? Or is the mobile repair shop too far to travel? Don’t worry anymore- because the startup ecosystem has a solution for every customer problem. 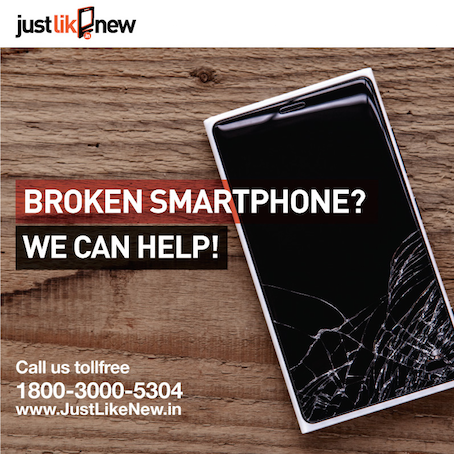 Justlikenew.in is an ecommerce platform that aims to revolutionize the repair industry in India. They have over 10,000 smartphones and tablet repair services on their platform, thereby productizing the service for the first time in India. Apart from just repairs, Justlikenew also indulges in buying and selling used phones. When you use the services of JustLikeNew , you get a 3 months warranty of the repair, and the phone gets repaired in 2 working days, with a free pick and delivery from your doorstep. They also have a live chat support for any and all kind of assistance that a customer may require. This startup is the brainchild of two MBA friends – Rahul and Ajit. At XLRI, Jamshedpur , they often discussed business ideas during their free time. However, they both entered the corporate world after their post graduation. In summer 2014, Ajit dropped his smartphone and had a really tough time getting the screen repaired. Finding time to run from one shop to the other, negotiating on price, uncertainty on the components being used left him frustrated. He shared his bad experience with Rahul, who was also finding it difficult to get his phone repaired. More than the difficulty, what shocked them was when they were facing this difficulty in Tier 1 cities, then what the situation in other small cities was. That’s when they realized how unorganized the entire repair industry in the country is and that there is a lot of scope for adding value to consumers in this segment. That’s when Justlikenew was born and since then there is no looking back for the entire team. Ajit has over 6 years of experience in Marketing, Strategy, and Sales & Technology across organizations like HCL, Lenovo and TCS. He completed his Bachelors in Information Technology and holds an MBA degree from XLRI Jamshedpur. On the other hand, Rahul is a Sales & Marketing professional with close to 4 years of experience in organizations like Coca-Cola. Rahul holds a B.Tech. in Computer Science and completed Masters from XLRI Jamshedpur. Today, the enterpriseis virtually present all across the country, and is physically present in Bangalore, Hyderabad, Delhi and Gurgaon. For these cities, they repair phones within 2 days and provide free home pick up and drop service. For all other cities Pan India they have free courier services and sends special packaging material for people to send their phones in. Post repair, the phones are delivered to the customer right at their doorstep. JustLikeNew is proud of the fact that there are one of a kind in the e-commerce platform. Since their inception, they have successfully repaired over 10,000 phones listed on their platform with 100% pricing. They serve Pan India using third party logistics. Apart from providing a unique platform for phone repairs, they also have an exclusive portal for customers to sell their phones . They can see an instant quote on the website depending upon the phone condition, and can proceed ahead with the sale. The team of JustLikeNew plans to expand their offices to 5-6 more cities in the next few months. They’ve recently launched a refurbished business, and that has proved to be a significant addition to their business. The team is quite optimistic on the fact that this new arena is going to add great synergies between repairs and refurbished business bringing in 100% MOM growth. From today, fret not from the thought of dragging yourself to the mobile store for repair. 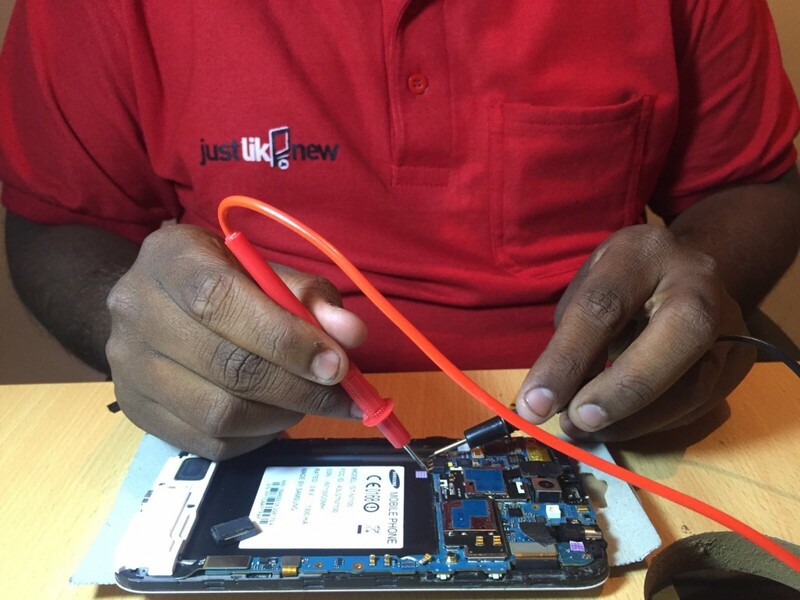 All thanks to JustLikeNew, your phone’s repair is just a click away.